Silicon nitride, pale in color, is an inorganic non-metal raw material, which is very good in iron and steel smelting, refractory materials, and other aspects, wear-resistant rubber, plastics, ceramics and other normal temperature and high temperature sealing abrasive are also widely used. 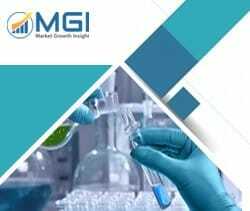 This report studies the global Silicon Nitride Powders market status and forecast, categorizes the global Silicon Nitride Powders market size (value & volume) by manufacturers, type, application, and region. This report focuses on the top manufacturers in North America, Europe, Japan, China, and other regions (India, Southeast Asia). Anyang Dingxing Metallurgical Refractories Co.,Ltd. Focuses on the key Silicon Nitride Powders manufacturers, to study the capacity, production, value, market share and development plans in future. Regional and country-level analysis of the Silicon Nitride Powders market, by end-use. 7.1 Anyang Dingxing Metallurgical Refractories Co.,Ltd.